The #51 McLaren P1 GTR has Chief Test Driver Chris Goodwin’s name on its window and Bruno Senna in its driver’s seat when it’s training time for the P1 GTR owners. 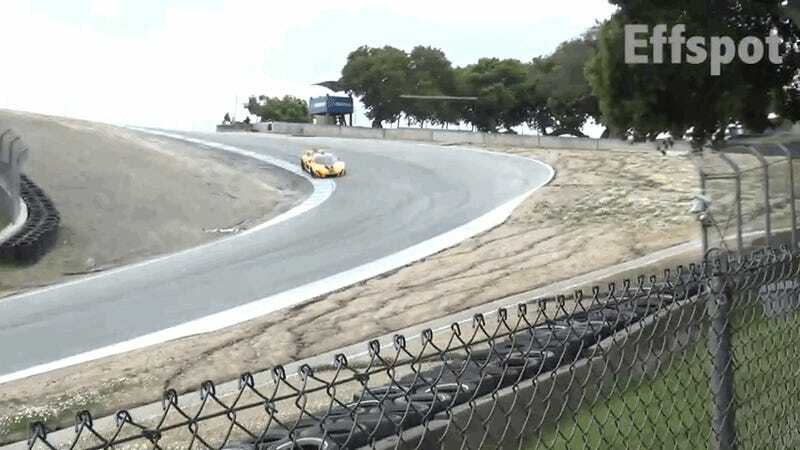 What it doesn’t have is a special button for Laguna Seca’s Corkscrew. Our expert analysis identified this as a near miss, which I’m sure McLaren is very happy about, especially considering that Paul Mackenzie and his team at Special Operations is busy enough as it is—fixing broken F1s, rebuilding P1s in naked carbon and coming up with special edition after special edition for those lucky few with very special bank accounts. Cold Pirelli slicks are a menace.